Well, my Roadmaster is still in the body shop. It’s been there for just over a month for what are really some simple repairs. After several visits to the shop for status updates I kept finding mistakes and errors. Don’t get me wrong, I’m not being fussy at all but the repairs were just plain being done incorrectly. I have another car so I’m not in a hurry, I just want all of the work done right. The shop is hoping that I’ll have my car back by tomorrow. I won’t hold my breath. I posted a while back that, in order to speed up the repairs, I removed all of the interior and the roof rack rails myself. Hopefully it will soon be time to put the roof rack back on again. This is always a cause of concern for station wagon owners. 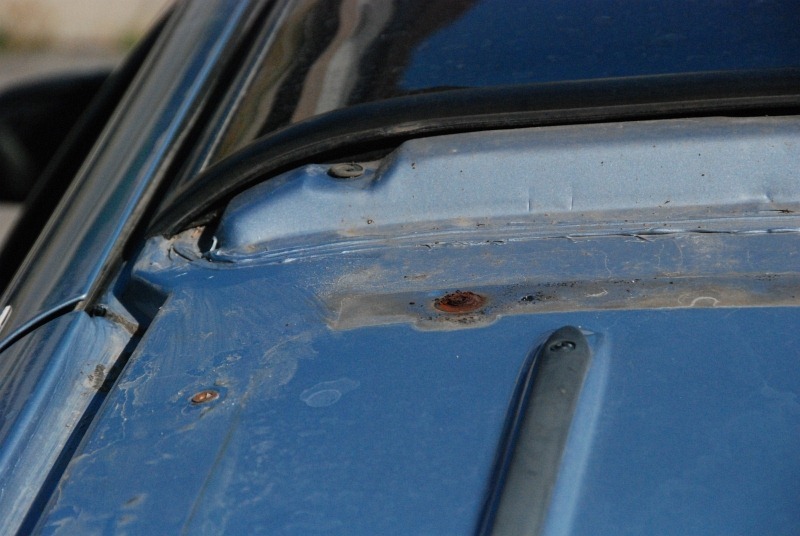 The screws/nuts/mounting devices holding a roof rack onto a car are almost always prone to leaks. I’ve been fortunate that none of the captive nuts installed in my cars roof have leaked. That being said, several of the captive nuts installed in the roof are rusting badly and one had to be pulled out when I removed the roof rack as it was spinning in the hole. At the factory, and at the body shop, a specialized (and probably expensive) tool is required to install these captive nuts without denting the roof. Even with customized tools and whatnot, there is still every likelihood that the replacement nuts will rust and/or leak at some point in the future. As we all know, when your car is torn apart it’s not enough to just put it back together again. Now is the time for tweaks, adjustments, and improvements. After a bit of nosing around over at StationWagonForums.com I found a better way of getting the roof rack mounted without the use of special tools. A relatively new product called a WellNut looks like the way to go. A WellNut is a brass nut encapsulated in a neoprene sleeve. The sleeve is designed to expand as the screw is threaded into it, not unlike a drywall anchor. In the case of a thin metal like the roof of my car, the neoprene will expand almost like a washer on the inside of the roofline and hold the rack tightly to the car as shown in the attached PDF file downloaded from SpaeNaur. I’ve tried to source these from several local vendors but none have them in stock and can’t assure me that they can order them for some reason. I’m going to head over to SpaeNaur’s retail outlet and see what I can pick up there. With best of luck I’ll be able to pick up some WellNut’s and replace my roof rack screws with stainless steel screws at the same time. 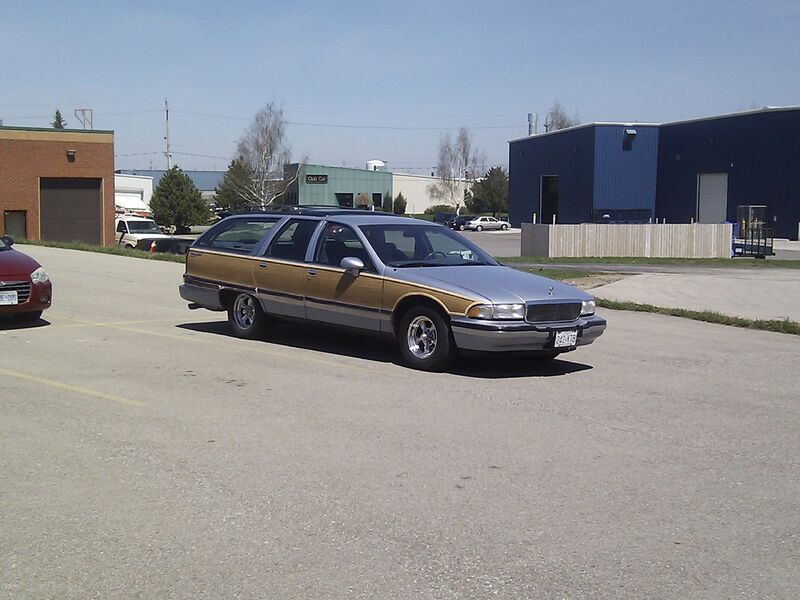 With the roof rack reinstalled, the Roadmaster will once again be able to sit out in the rain without holding water.